Get out of town with these interesting Perth side-trips: Fremantle (South Beach Recreation Reserve, Little Creatures, & more), Yanchep National Park (in Yanchep) and Whiteman (Whiteman Park & Caversham Wildlife Park). Pack the 4th (Mon) with family-friendly diversions at Adventure World Perth Australia. Dedicate the 5th (Tue) to wine at some of the top wineries in the area. 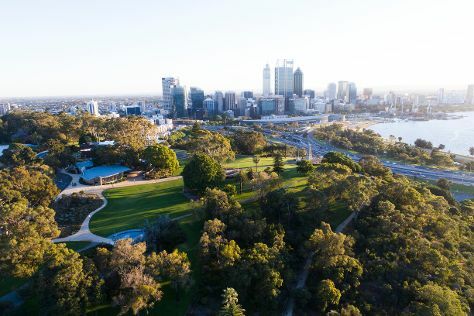 There's still lots to do: admire the natural beauty at Kings Park & Botanic Garden, enjoy the sand and surf at Cottesloe Beach, let your taste buds guide you at a local gastronomic tour, and get to know the resident critters at Perth Zoo. For where to stay, more things to do, maps, and other tourist information, use the Perth trip builder app . If you are flying in from India, the closest major airport is Perth International Airport. February in Perth sees daily highs of 38°C and lows of 20°C at night. Finish up your sightseeing early on the 26th (Tue) so you can travel back home.